Casafina is a low rise condominium located near the Bedok MRT Station and East Coast beach and ECP. It is situated beside the main road so buses and taxis are available at Bedok South Road. It is also near the popular Katong eating outlets, Siglap and Parkway Parade Shopping Centre. Real hidden gem. I been staying here for 5 years. Units are large and spacious. 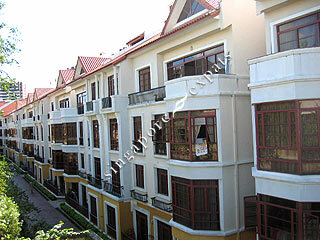 Condo itself generally quiet - suitable for couple or families. Lots of eating places around within walking distance. Great location. Easy access to city via numerous direct bus from the bus stops outside the condo. Close to bedok shopping mall. Walking disance to ECP.